She studied Law and Economics at the University of Barcelona and in 2000 she obtained her PhD in Economics of the Public Sector. In 1993, she started working at the Department of Public Economyshe taught “Political Economy”. With the time, she extended her fields of interest to the study of educational and cultural policies, as well as to the analysis of economics of education and culture. Since 2009, she is Assistant professor at the University of Barcelona,she teaches “Economics of Culture”, “Information and Society” and “Economics of Media”. Since 2016 she coordinates the Doctoral Program in Gender Studies: Culture, Society and Policy promoted by the Inter-University Women and Gender Studies Institute iiEDG which comprises research groups and researchersfive Catalan universities. She has taken part in several research projects funded by international such as the Council of Europe, the World Bank or the European Institute for Comparative Cultural Research and national such as the Spanish Ministry of Culture and the Catalan Department of Culture bodies. 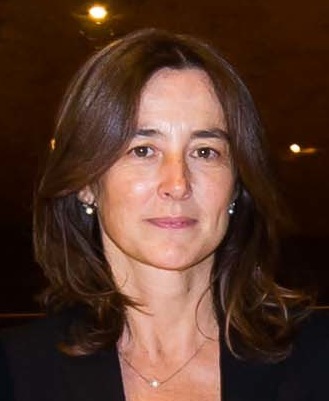 Since 2006, she is working as an independent expert in the Spanish-country profile included in the Compendium of Cultural Policies and Trends in Europe. She is President of the European Association of Cultural Researchers - ERICarts NETWORK. She is author of several articles and book chapters on different topics related to cultural policies and economics of culture.